Pierre Antakya Cuisine offers a look at the rich cuisine of the Antakya region in Arnavutköy. 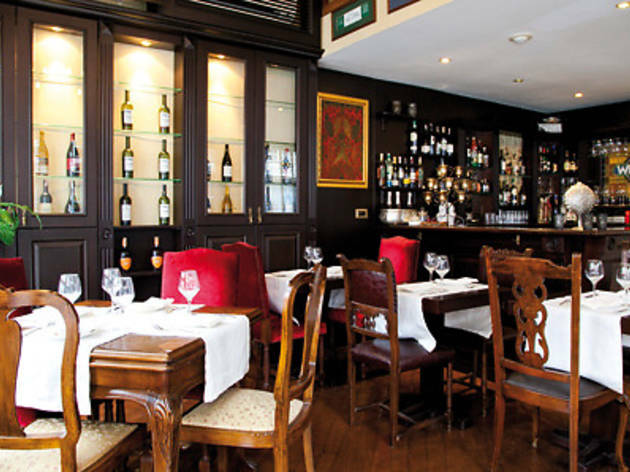 Pierre-Antakya Cuisine gets its name from the Saint Pierre Church in Antakya and its decor from a more European vein, evidenced by the claw-foot tables, leather-and-velvet chairs and photographs of classic cars on the walls. The music also reflects this European-meets- Anatolian flair, with the daytime jazz giving way to slightly more oriental melodies after 19.00. 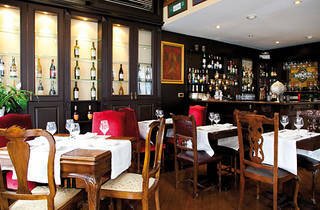 There are also live music programmes on Friday and Saturday evenings at Pierre. Pierre starts the day with breakfast, with the olive oil, cheeses and even sour pomegranate brought from Antakya. Authentic dishes from the region include salty yogurt, topped with mint and red peppers as well as ‘zengin’, a paste of red peppers and spices. The tastiest meze Pierre offers is bezirgani, made with walnuts and peppers. For your main course, we recommend kağıtta et (meat cooked in paper), vine leaves stuffed with minced meat and stuffed dry eggplants. The wine menu at Pierre includes Corvus wines, produced in Büyükada. We particularly recommend Corvus’s Teneia (white) and Rarum (red) wines. For dessert, you have the option of künefe (fried stringy, syrupsoaked dough topped with melted cheese), kabak tatlısı (pumpkin dessert) and bici bici, made with rose water and served with vanilla ice cream.